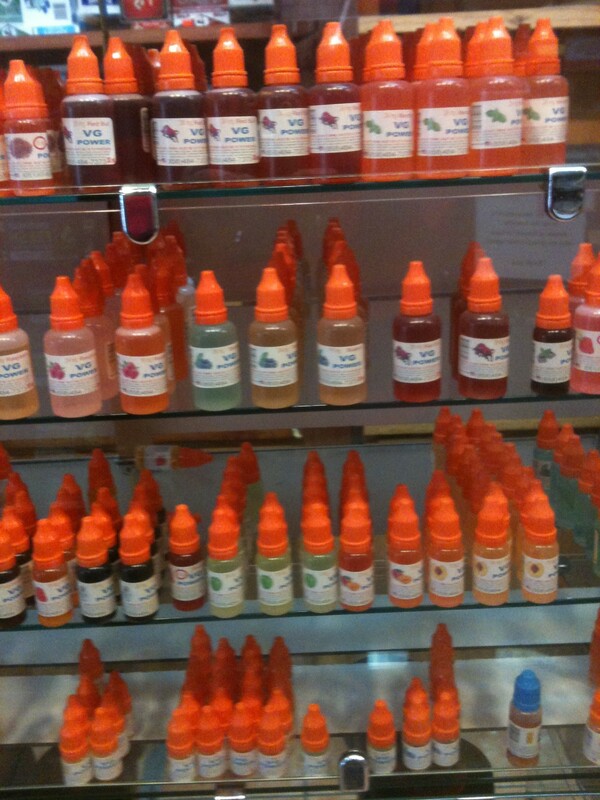 Smoker’s Land carries a full lineup of electronic cigarettes in San Diego. 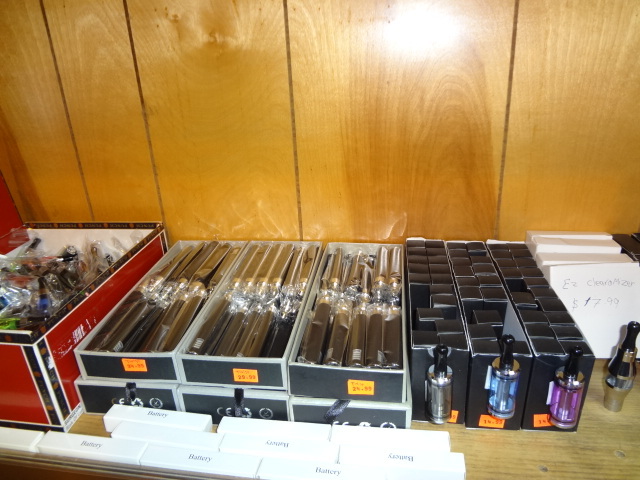 Stop by and check out our selection of e-cig starter kits, cartomizers, e-liquids and accessories. On this page you can learn more about electronic cigarettes, how to choose the right e-cigarette and other maintenance and care. 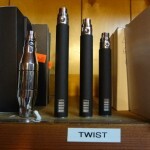 Clearomizers, Joyetech eGo-Twist Batteries, Vivi Nova Tanks and more! 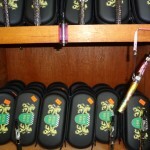 In its basic form, an electronic cigarette is a device that is an alternative to smoking. It allows you to get the nicotine you require without the need to smoke an actual tobacco product, meaning that you are not breathing in all of the chemicals associated with traditional tobacco smoke. Electronic cigarettes are also extremely convenient, as they allow the smoker to get their nicotine hit while being in a indoor environment. Currently, there is no legislation banning the use of electronic cigarettes from being used in enclosed public places like conventional cigarettes are. 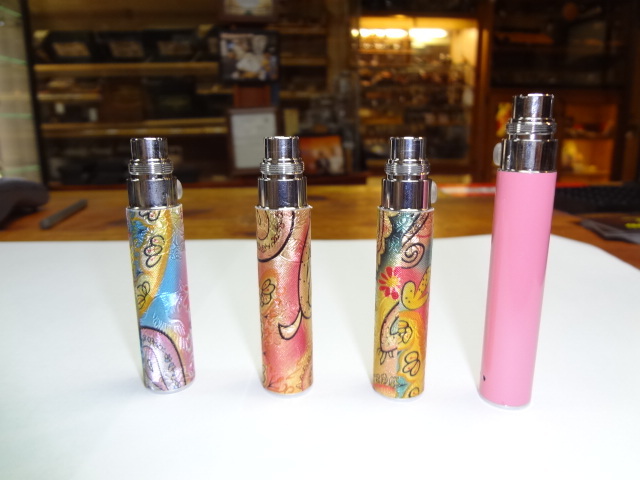 Rechargeable Battery – The battery makes up the majority of the length of your e-cig. It is basically a sealed, rechargeable, lithium-ion battery. It can be screwed onto the USB charger, which you can then plug into your computer’s USB port, or can be plugged into a wall or car adapter for flexible and convenient charging. Most e-cig batteries take about 1-2 hours to fully charge, and will last the smoker a few hours all the way up to 8 hours depending on the capacity and how heavy the smoking characteristics. 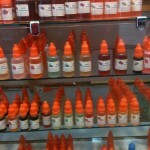 Flavor Cartridge – This is usually a plastic or metal cartridge that contains polyester filling to soak up the e-liquid. E-liquid consists of a non-toxic Poly Glycol (PG) or Vegetable Glycerine (VG) solution along with nicotine and flavorings. 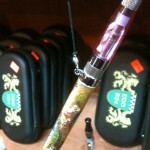 Flavor cartridges soak up e-liquid in the polyester filling so that the atomizer can heat the solution to create vapor. Most e-cig flavor cartridges come pre-filled, but can be easily refilled with any flavor of e-liquid (see refilling tips below for more information). 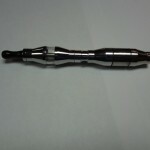 Atomizer – The atomizer is the heating element responsible vaporizing the e-liquid. It generally consists of a simple filament and wicking metal mesh to draw the liquid in. 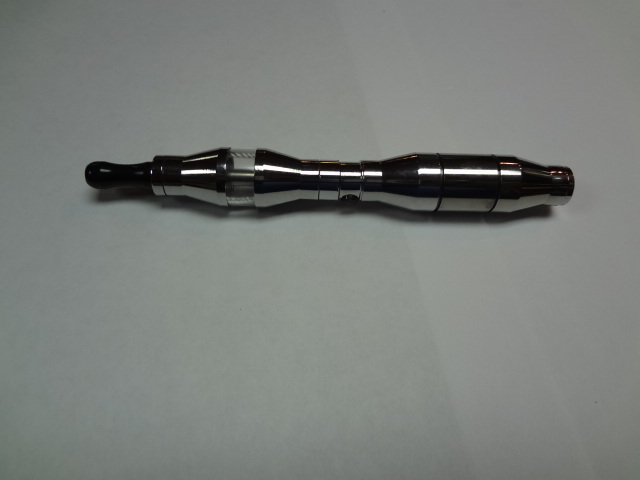 It is positioned in the center of the three components that make up the entire electronic cigarette cylinder, as the flavor cartridge attaches to one end, and the rechargeable battery to the other. The atomizer’s filament tends to lose efficiency over time due to a buildup of sediment, or “burns out” entirely, requiring replacement. 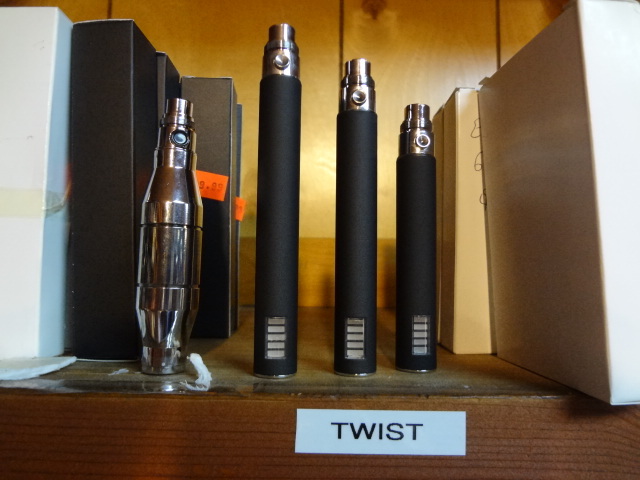 Switching from unhealthy conventional cigarettes to electronic cigarettes has never been easier! 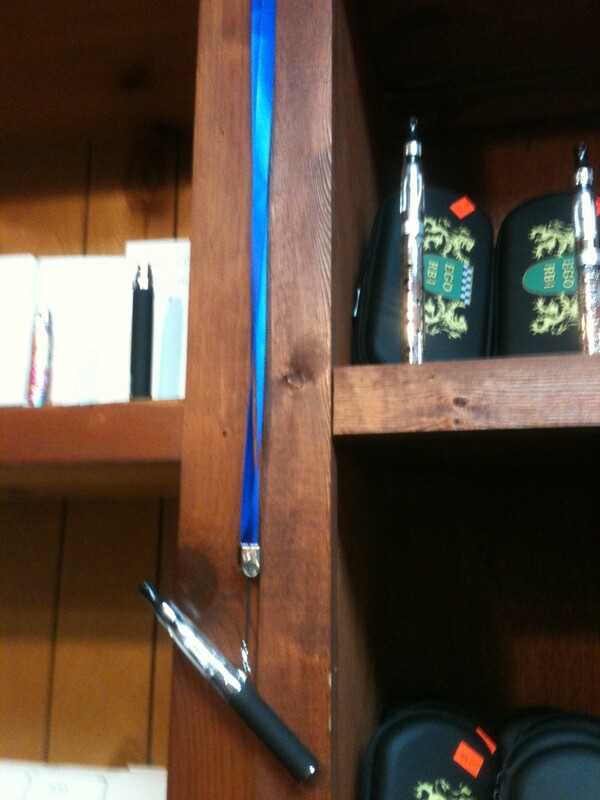 Our electronic cigarette starter kits plug into the wall or your computer, via USB, for easy charging. Electronic cigarettes give you all of the pleasures of traditional cigarette smoking without all of the unhealthy and unattractive side-effects like odors, bad breath, tar and yellow teeth and fingernails. 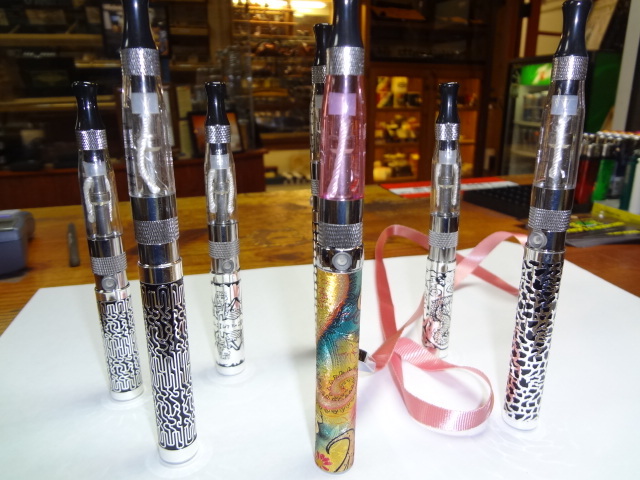 Electronic cigarettes vaporize a flavored nicotine liquid called “e-liquid” or “e-juice” into a tar free, odorless vapor. 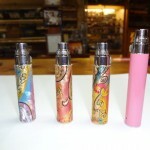 Buy an electronic cigarette starter kit and make the switch to this innovative alternative to smoking! 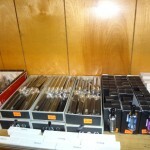 Stop by our retail store and have an expert show you how to refill, operate, charge and maintain your electronic cigarette. 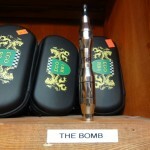 We have the largest selection of electronic cigarettes, e-liquid/e-juice and e-cig accessories in San Diego. Stop by today: 13295 Black Mountain Road Suite #4, San Diego, CA 92129, or call us at: (858) 484-7373. 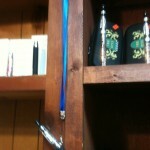 (NOTE: We have currently discontinued our line of Encore e-cigs.) 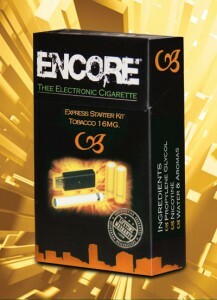 Our Encore e-cigarette starter kit includes everything you need to start vaping today. This is a high-quality kit backed by the Encore lifetime warranty! 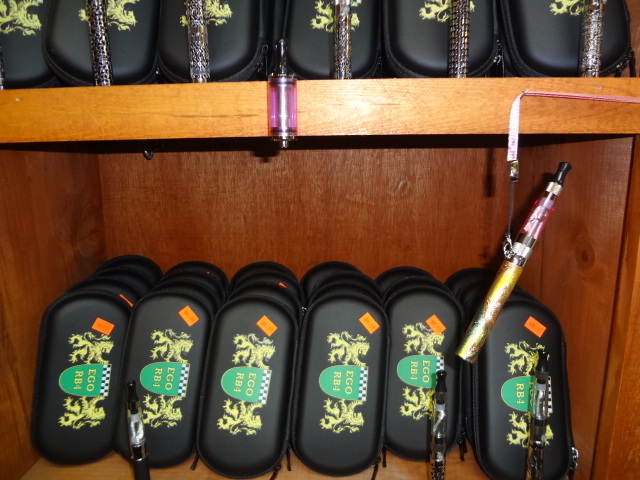 It includes one e-cig battery, two refillable e-cig cartomizers (cartridge and atomizer in one), one USB rapid charger, two rubber mouthpiece storage tips and one stylish carrying case. Choose from tobacco or menthol flavors containing 16mg nicotine. 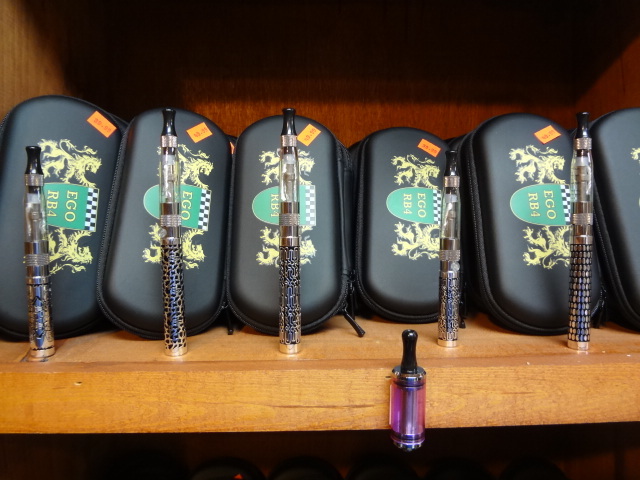 This kit is re-fillable using our wide selection of e-liquids (see refilling tips below). 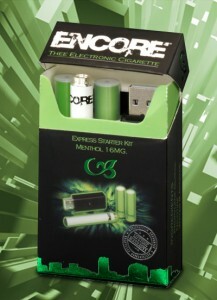 All Encore starter kits come with an industry leading lifetime warranty! Visit us today or call us for pricing! (NOTE: We have currently discontinued some of our Imperial product line. Please contact us for details. 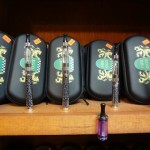 )Another popular starter kit is our Imperial Smoke e-cig starter kit. This kit contains one charging pack, one e-cig battery, one e-cig atomizer, one USB rapid charger and 5 full-flavor or menthol nicotine cartridges. You can charge your e-cig battery using the convenient USB charger, or simply plug the pack into the wall to charge the internal battery, then insert your e-cig while on the road to charge on-the-go! 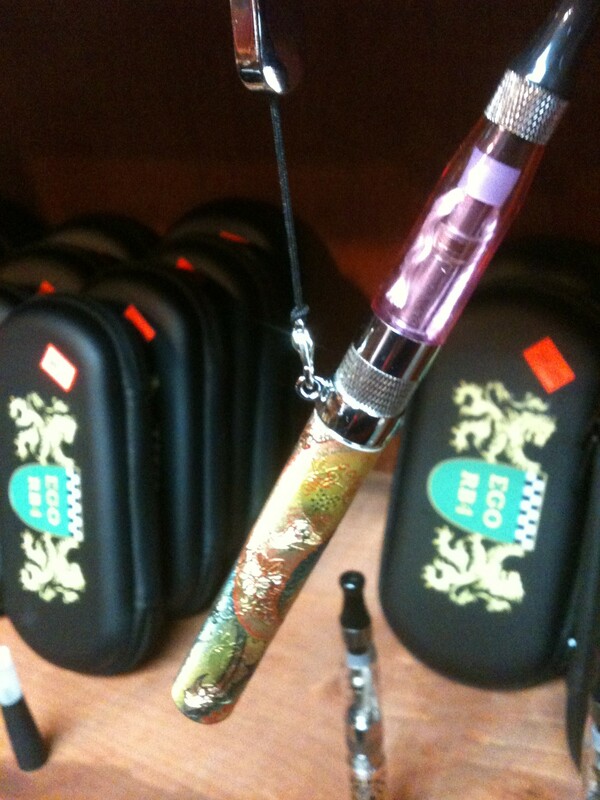 Vaping doesn’t get much easier than this! Come Visit Smoker’s Land Today! Come and visit us at 13295 Black Mountain Road Suite #4, San Diego, CA 92129. We are conveniently located off the 15 and 56 freeways in Rancho Penasquitos. 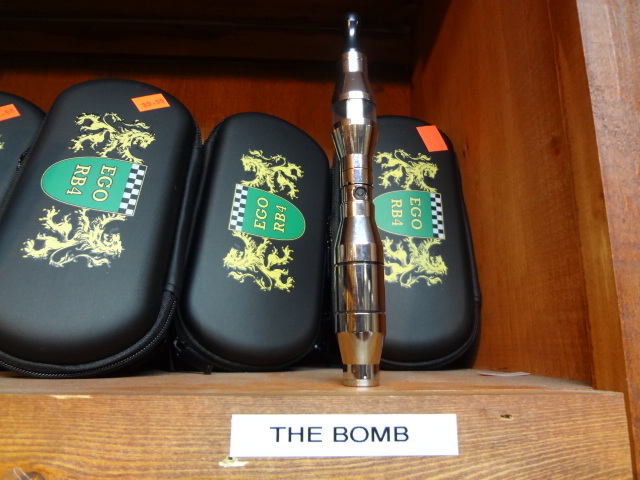 We carry a full selection of e-cigs and accessories, plus we are here to help you select the perfect electronic cigarette to fit your needs. Stop in today or call us at: (858) 484-7373 if you have any questions!